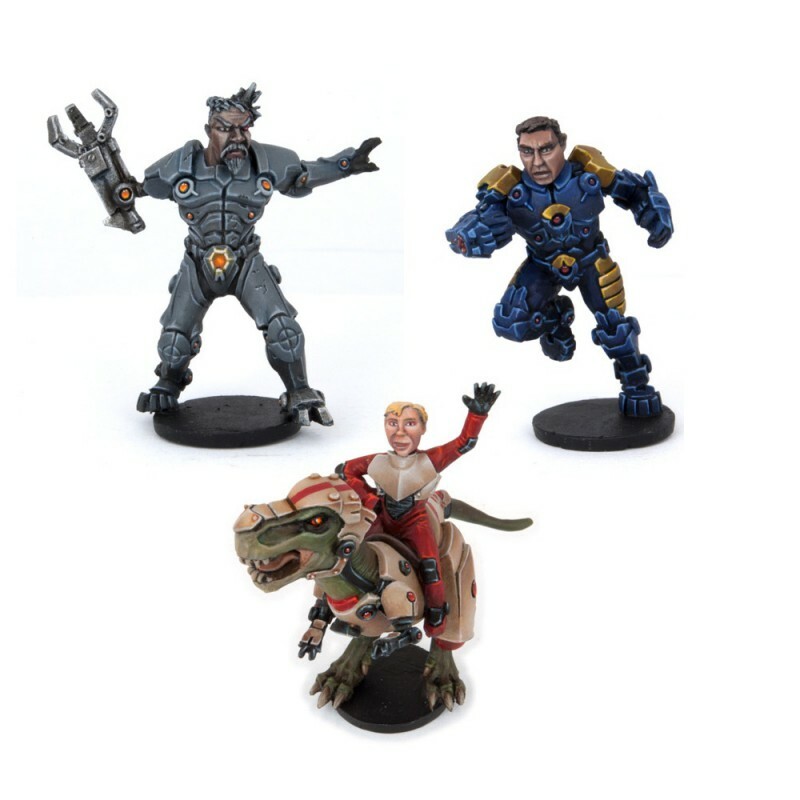 Drake and the Dynamic Dinoborg prove that DreadBall really is all about the spectacle! A holographic kid riding a robotic corporate mascot might not sound like most people’s idea of an effective Guard, but no one who’s seen them in the arena could doubt their deadly effectiveness. Thunder Chris was a superstar of the zero-g sports world until a critical injury put him on ice. Waking up from cryo-freeze decades later, he found a whole new world – and a whole new sport! Now he puts all his old skills to use in the DreadBall arena, hoping to regain his fame. The Veteran, is one of the longest-standing players on the DreadBall circuit, despite countless injuries that would have stopped a lesser man’s career in its tracks. He refuses to retire, and has gone so far as to have extensive mechanical upgrades that make him even harder to kill. Rules for these MVPs can be found in DreadBall: The Futuristic Sports Game. Miniatures are cast in premium metal and require assembly and painting.